NioCorp and Traxys North America Agree to Commercial Sales Contract for up to 120 Tonnes of Scandium Over 10 Years - NioCorp Developments Ltd.
CENTENNIAL, Colo. (October 10, 2018) – NioCorp Developments Ltd. (“NioCorp” or the “Company”) (TSX: NB; OTCQX: NIOBF; and FSE: BR3) is pleased to announce that it has signed a commercial sales agreement with Traxys North America LLC (“Traxys”) for up to 120 tonnes of scandium trioxide over the first 10 years of operation of NioCorp’s planned Elk Creek Critical Minerals Project (the “Project”) in Nebraska. The contract presupposes the Company securing project financing, obtaining all necessary approvals, and constructing a mine and processing facility at Elk Creek. Under the sales agreement, Traxys is obligated to purchase 12 tonnes per year of scandium trioxide for the first 10 years of the Project’s production, subject to satisfaction of certain conditions. That annual amount represents approximately 10 percent of NioCorp’s planned annual production of Scandium. Traxys can purchase more than 12 tonnes per year from NioCorp, and the agreement can be extended beyond the 10-year term, by mutual agreement. At 12 tonnes per year, the size of the NioCorp-Traxys sales contract is approximately equivalent to all current global sales of scandium, according to 2018 estimates by the U.S. Geological Survey. Independent estimates of latent demand for scandium, defined as demand that cannot be satisfied because of a lack of supply or a lack of knowledge of available or affordable supply, peg such demand at several hundred tonnes per year in the aerospace sector alone. Traxys will focus its scandium sales and marketing efforts on customers in the aerospace and sporting goods sectors, and it retains the exclusive right to sell NioCorp scandium to those sectors. In return, Traxys has agreed to purchase its entire needs of scandium trioxide, scandium alloys, scandium master alloy and other scandium-based products exclusively from NioCorp, including for scandium sales to other sectors, subject to availability of adequate supplies by NioCorp and other conditions. 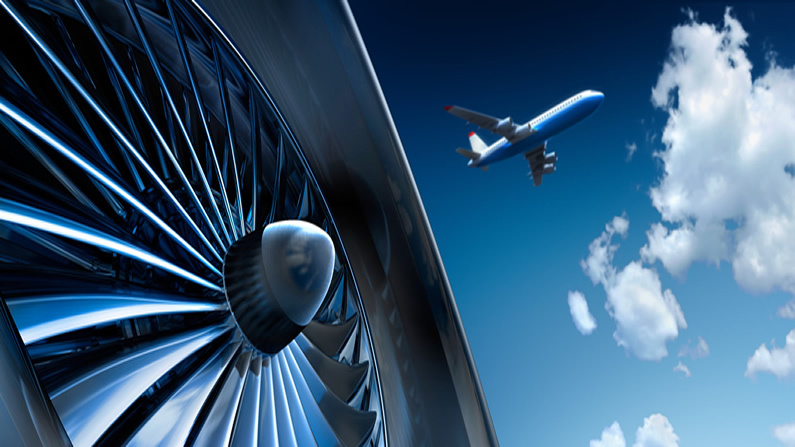 NioCorp will work with Traxys to promote and market scandium to the aerospace, sporting goods and other industry sectors. NioCorp retains the right to make direct sales of scandium to markets outside of aerospace and sporting goods, as well as direct sales to the U.S. Government. With over 20 global offices and $6 billion in average annual revenue, Traxys is a global leader in the sales and marketing of a variety of specialty and industrial metals, including the following: magnesium; zinc; copper; lead; cobalt, chrome, manganese; rare earths; vanadium, titanium; tantalum; silicon carbide; uranium; and ferro alloys such as ferro-chrome, ferro-manganese, ferro-nickel, and ferro-niobium. It is majority owned by The Carlyle Group (NASDAQ: CG), with significant minority interests of other private investors and the Traxys management team. Neither TSX nor its Regulation Services Provider (as that term is defined in the policies of the TSX) accepts responsibility for the adequacy or accuracy of this document. Certain statements contained in this document may constitute forward-looking statements, including but not limited to NioCorp’s ability to produce scandium in sufficient quantifies and quality to meet the requirements of Traxys and other customers; Traxys’ ability to sell NioCorp’s scandium products; the forecast demand for scandium by industries such as aerospace, and the future size and growth of global scandium markets. Such forward-looking statements are based upon NioCorp’s reasonable expectations and business plan at the date hereof, which are subject to change depending on economic, political and competitive circumstances and contingencies. Readers are cautioned that such forward-looking statements involve known and unknown risks, uncertainties and other factors that may cause a change in such assumptions and the actual outcomes and estimates to be materially different from those estimated or anticipated future results, achievements or position expressed or implied by those forward-looking statements. Risks, uncertainties and other factors that could cause NioCorp’s plans or prospects to change include the following: risks related to our ability to operate as a going concern; our requirement of significant additional capital; our limited operating history; changes in economic valuations of the Elk Creek Project, such as net present value calculations, changes or disruptions in the securities markets; our history of losses; cost increases for our exploration and, if warranted, development projects; feasibility study results; mineral exploration and production activities; our lack of mineral production from our properties; the results of our metallurgical testing; the price volatility of commodities; estimates of mineral resources and reserves; changes in mineral resource and reserve estimates; differences in United States and Canadian reserve and resource reporting; our exploration activities being unsuccessful; our ability to obtain permits and licenses for production; government and environmental regulations that may increase our costs of doing business or restrict our operations; proposed legislation that may significantly affect the mining industry; land reclamation requirements; competition in the mining industry; the difficulties of handling the disposal of mine water at our Elk Creek Project; equipment and supply shortages; current and future joint ventures and partnerships; our ability to attract qualified management; the ability to enforce judgment against certain of our Directors; currency fluctuations; claims on the title to our properties; surface access on our properties; potential future litigation; our lack of insurance covering all our operations; covenants contained in agreements with our secured creditors that may affect our assets; the extent to which our level of indebtedness may impair our ability to obtain additional financing; our status as a “passive foreign investment company” under the United States Internal Revenue Code of 1986, as amended; our Common Shares, including price volatility, lack of dividend payments, dilution and penny stock rules; and our status as an “emerging growth company” and the impact of related reduced reporting requirements on our ability to attract investors; and the risks set forth under the heading “Risk Factors” in the Company’s S-1 registration statement and other filings with the SEC at www.sec.gov. NioCorp disclaims any intention or obligation to update or revise any forward-looking statements whether as a result of new information, future events or otherwise. Unless stated otherwise, information of a scientific or technical nature in this presentation regarding the Elk Creek Superalloy Project is summarized, derived or extracted from, the technical report entitled: “Revised NI 43-101 Technical Report Feasibility Study Elk Creek Niobium Project Nebraska” effective June 30, 2017 and dated December 15, 2017. The technical report has been filed under the Company’s issuer profile on SEDAR at www.sedar.com and on EDGAR at www.sec.gov.